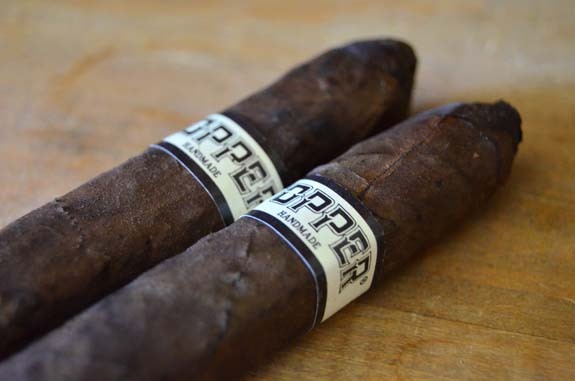 Topper Cigars is a company with a rich history that reaches back more than 100 years. 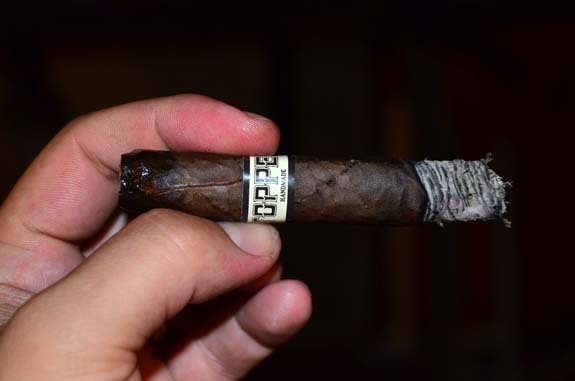 As one would expect, the century old company experienced major changes in the Topper brand since its beginnings in 1896 ranging from using Cuban tobaccos early on, then moving to machine-made from 1965 to 2013, and then back to handmade in 2013. 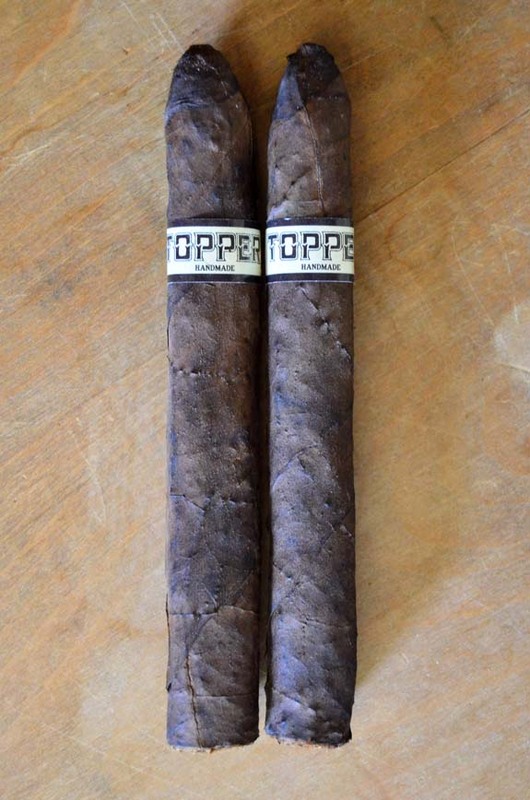 Topper cigars are medium filler cigars that are now produced at Durfort Holdings S.A. in Santiago, Dominican Republic. Medium filler cigars utilize chopped tobacco leaf, but with pieces that are larger than what is used in short filler cigars. Sizes in the Topper line include the Old Fashioned Perfecto (4 7/8 by 48), Breva (5 1/2 by 46), Ebony (5 1/2 by 47), and Grande Corona (6 by 47). 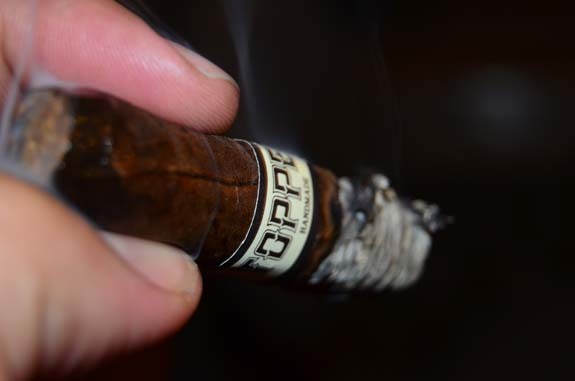 The cigar features a Connecticut Broadleaf wrapper, the trademark of the Topper brand, over a wide-variety of filler tobaccos. This affordably priced cigar comes packaged in 30-count wooden boxes with a suggested retail price of $2.60 per cigar. 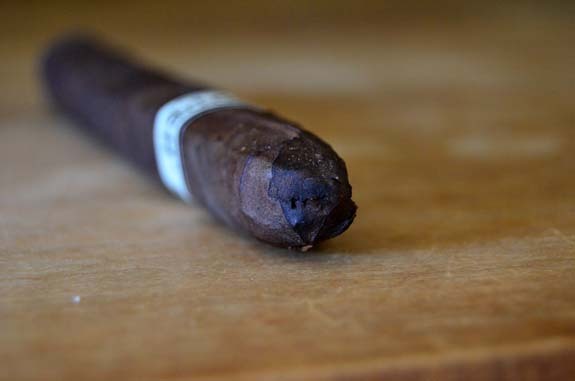 The Topper Ebony may not be aesthetically pleasing to most, but I love the character of the rustic, dark brown Connecticut Broadleaf wrapper. What the Ebony lacks in beauty, it makes up in large veins and bumps, as well as a few stitch-like veins. The cigar flexes easily as I lightly pinch it between my fingers. 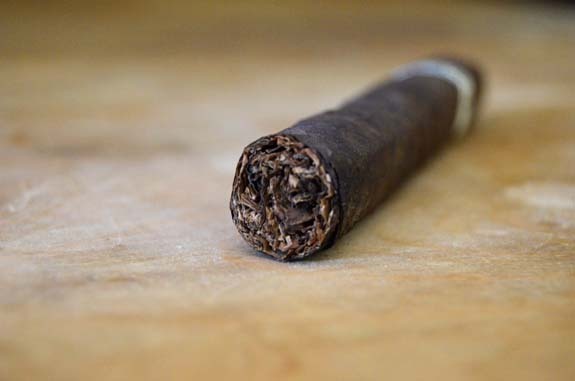 However, no soft-spots or tobaccos voids are found down the cigar. Aromas of barnyard, natural tobacco sweetness, and woodsy notes come across on the wrapper, while a big Spanish cedar aroma is found on the foot. The foot aroma is identical to the smell of a wooden cigar box or a walk in humidor. The tapered heads sports an ugly cap that clips easily and gives way to a good draw. The cold draw shows off more of the woods flavors and a fruity sweetness. Once lit, an open draw brings forth a satisfying amount of smoke with sweet bread, coffee, and pencil-shaving notes. Passing the smoke through my nose, darker flavors of earth and coffee stand out with a mild pepper. An interesting vegetal flavor arrives that makes the cigar taste young. The burn-line is thick and even with a dark gray, layered ash forming. Through the first third, the flavors remained a steady medium. Coffee, earth, and a black pepper begin to dominate the profile as I pull into the second third of this 5 ½ by 47 Topper Ebony. A unique cola flavor shows up every so often and the earth lingers on the finish of the smoke. The profile is shifting back and forth from the sweetness, cola, and bread flavor to the coffee and earth. A small section of the wrapper that is lagging behind requires a quick touch-up. Reaching the final inch, the smoke is hot in the mouth, but not harsh, letting me know it is time to set the Topper Ebony down for its final rest. From the vintage packaging to the rugged Broadleaf wrapper, I am all about this cigar. It makes me want to watch a baseball game or drink lemonade on my front porch during the hot summer months. Definitely not complex, but there are some change ups throughout. But more than that, the medium flavor profile works. 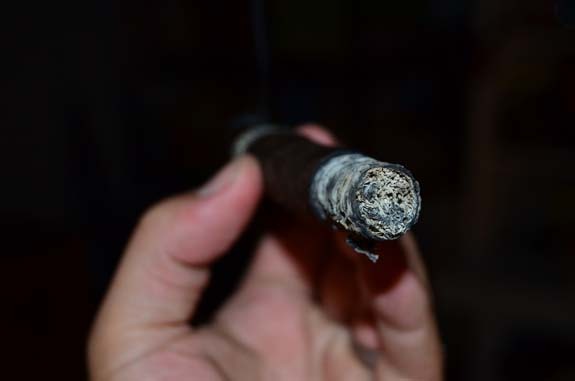 The ash and heat in the last third made it evident that medium filler tobaccos are used in the blend, but, other than that, the construction was fine and nothing distracted me from the experience. It is not the best cigar out there by far, and I don’t have the budget to smoke the best out there everyday. However, the Topper Ebony is an easy everyday smoke and one I would love to add to my rotation.